Developing into a form of popular music in the 1970s, hard rock combines multiple stylistic elements to create a distinct aggressive sound. Notable bands such as AC/DC, Status Quo, Led Zeppelin, The Who, Black Sabbath and KISS have contributed greatly to the development of this genre in its earlier years. However, the commercial peak of hard rock music came in the 1980s with glam metal bands such as Def Leppard, Bon Jovi and Guns N’ Roses. Not for the faint of heart, this Hard Rock and Metal Concert tickets provides high-octane, pedal to the metal energy. 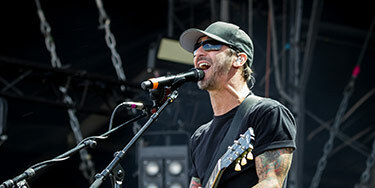 Heavy guitar riffs and rapid drum beats accompany the singer’s sometimes shouting or snarling voice. Occasionally sounding like a contest of which instrument can play the loudest, metal songs typically have a quiet beginning before crescendoing into an all-out rockfest that drives the fans wild. Of course, there are also the songs that are full-throttle hard rock from beginning to end. Whatever the case may be, metal fans are sure to rock out in their jackets embroidered with logos of their favorite bands. All of this is done with rock hands extended while headbanging the night away. Something that has become quite popular at live metal performances are moshpits, which are basically just testosterone-fueled dance sessions where an entire section of the crowd pushes each other violently around with reckless abandon for their own well-being. Be careful if you do decide to engage in a moshpit. However, most importantly, remember to have fun, and to keep your air guitar ready to go for the inevitable wicked guitar solos that come with a heavy metal concert. Today, even though genres such as R&B, urban pop and hip hop have achieved greater commercial value, the hard rock genre continues to be popular. Hard rock concert tickets sell out faster than you can imagine, especially for the big names in the industry. In the 1960s, American and British rock bands began to experiment with the traditional rock and roll sound by adding harsher tones, louder vocals, harder sounds and heavier guitar riffs. The earliest instances of hard rock elements can be found in the work of Chicago blues musicians such as Elmore James, Howlin’ Wolf and Muddy Waters. Songs such as “You Really Got Me” by The Kinks in 1964 and “My Generation” by The Who in 1965 were the pioneers of the hard rock genre. Over the years since its early development, the hard rock genre has produced many great names. Let’s take a look at some of these artists and bands. Formed in East London in 1975, Iron Maiden is one of the pioneers of heavy metal music. With thirty-eight albums to their name, they are credited with bringing about the new wave of British heavy metal. Their albums, The Number of the Beast, Piece of Mind, Powerslave, Live After Death, Somewhere in Time and Seventh Son of a Seventh Son were all super hits in the earlier part of their career. With more than one hundred million copies of their albums sold all across the world and multiple international awards, Iron Maiden is truly legendary. The band, formed in 1968, helped define the heavy metal and hard rock genre with the release of their 1970 albums, Black Sabbath and Paranoid and the 1971 album, Master of Reality. Black Sabbath has been ranked as the “Greatest Metal Band” of all time by MTV and has also been placed on Rolling Stone’s list for the “100 Greatest Artists of All Time”. They have been inducted into the Rock and Roll Hall of Fame and the UK Music Hall of Fame as well. Formed in Los Angeles, California, Metallica is widely regarded as one of the “big four” of thrash metal bands (the other three being Megadeth, Slayer and Anthrax). 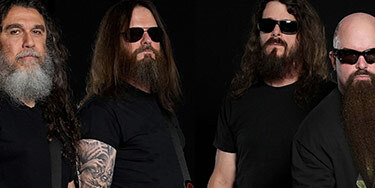 The band got its fame with the release of its first five albums with their third album, Master of Puppets, released in 1986, being defined as one of the most influential albums of the genre. To date, the band has won nine Grammy Awards and its last six studio albums all debuted at number one on the Billboard 200. The Australian rock band, founded in 1973, first rose to fame with the release of their album, Back in Black. Their next album, For Those About to Rock We Salute You reached number one in the US. With more than 200 million records sold worldwide including an impressive 71.5 million albums in the US, AC/DC is one of the highest selling music artists in the US. Part of one of the “big four”, Megadeth’s music features complex arrangements and fast rhythm sections. The main themes they explored lyrically revolve around death, politics, religion and war. 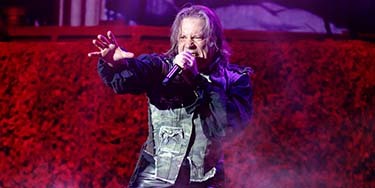 To date, the heavy metal group has released a number of platinum certified albums, and has sold more than 25 million records across the world. Formed in California in 1985, Guns N’ Roses rose to instant fame with the release of their debut album, Appetite for Destruction in 1987. The single “Sweet Child O’ Mine” became a wildly successful song, giving the band its first number one hit on the Billboard Hot 100 chart. The hard rock and heavy metal band from London was formed in 1968 and achieved a lot of success with their albums Led Zeppelin (1969), Led Zeppelin II (1969), Led Zeppelin III (1970), Led Zeppelin IV (1971) and Houses of the Holy (1973). Their single “Stairway to Heaven” from the fourth album is one of the most influential works in the world of rock music. Led Zeppelin is widely regarded as one of the most influential and innovative rock groups in history, with 200-300 million units sold across the world. Formed in New York City, KISS is known for its music as much as it is known for its elaborate live performances and face paint. The band has been wildly successful and is an iconic group in the genres of hard rock, heavy metal and glam metal. With more than 75 million records in sales, the fame of KISS certainly knows no bounds. Often referred to as “the Bad Boys from Boston” or “America’s Greatest Rock and Roll Band”, Aerosmith are a blues-based hard rock band. The first five albums by the band have achieved multi-platinum status and have produced countless hit singles. Aerosmith was inducted into the Rock and Roll Hall of Fame in 2001, with Steven Tyler and Joe Perry also making it to the Songwriters Hall of Fame. One of the greatest names known to the world of hard rock and metal is Chris Cornell. The American musician was known for his work as the lead vocalist of Soundgarden and Audioslave. He also has an extensive list of songs that he wrote. He was nominated for a total of 15 Grammy Awards and has won the honor twice. With 14.8 million albums sold, Chris Cornell is classified as one of the best selling artists in the genre. On the morning of 18th May, 2017, Cornell was found dead in his hotel room in Detroit. It was ruled as a suicide. Even though Hendrix mainstream career lasted only four years, the impact he left on the genre is felt even today. He is widely regarded as one of the most influential electric guitarists in the history of music. He has been described by the Rock and Roll Hall of Fame as being one of the greatest instrumentalists in the history of rock music. He died an accidental death on 18th September, 1970, at the age of 27. Bon Jovi is a rock band formed in New Jersey in 1983. The group first achieved widespread fame and recognition with their album, Slippery When Wet, released in 1986. To date, Bon Jovi has released 13 studio albums, along with six compilations and three live albums and has been inducted into the Songwriters Hall of Fame and the Rock and Roll Hall of Fame (scheduled for induction in 2018). For fans of the genre, there is good news. Hard rock and metal bands and artists such as Judas Priest, Marilyn Manson, Clutch, In This Moment, Parkway Drive and Warrant will be performing live in the near future. If you want to catch these big names in action, you need to get your hands on these metal concert tickets. Sales for these tickets have already begun so you better get yours before they run out!